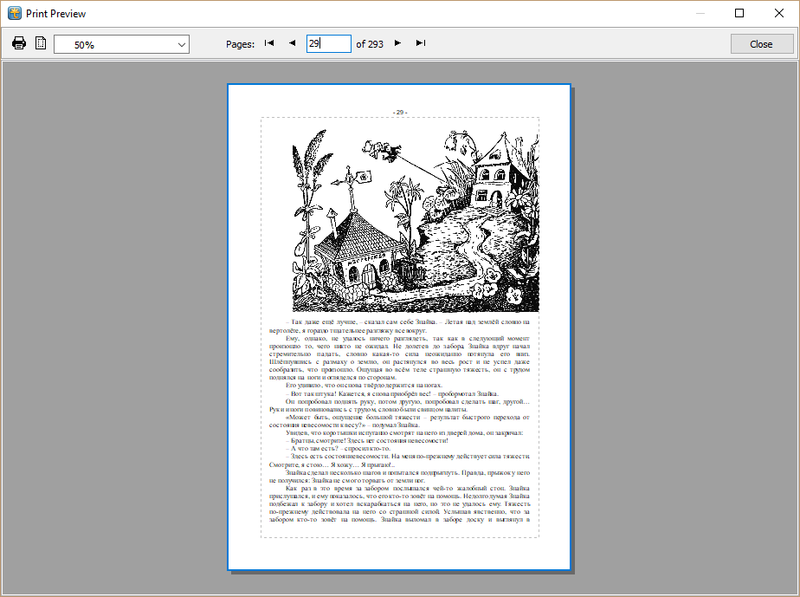 A special component ( TRVPrintPreview) displays a page preview on the screen. Users can browse pages, zoom in and zoom out of this preview. TRichView tries to print inserted controls itself. But it is not possible to create a procedure for printing any type of controls. If you are not satisfied with the default printing, you can use OnPrintComponent to print controls yourself (by drawing them in a temporary bitmap). TRichView has special support for printing TChart components. Details are in Resources for TRichView. You can assign other documents as headers and footers. The component supports different headers and footers for the first page and for odd and even pages. Alternatively, headers and footers can be drawn in OnPagePrepaint or OnPagePostpaint events. This method is used in RichViewActions: they draw plain text headers and footers containing fields (page number, page count, date and time). TRVReportHelper component can draw documents at the specified rectangle of any Canvas, including printer's Canvas. 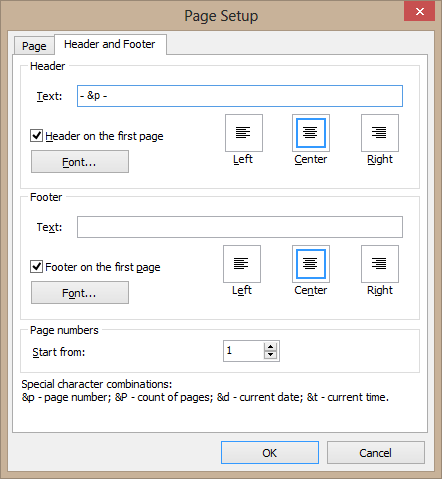 This component allows implementing complex page layouts, for example printing documents in several columns. WYSIWYG editing is not supported in TRichView. Line wrapping on the screen and on the paper may be different. WYSIWYG mode is implemented in ScaleRichView (additional components to TRichView).